I go a little crazy for beautiful wooden toys. There is always that discussion in my mind about cost versus quality. This year we received the Grimm's wooden rainbow which I had always admired and I instantly regretted not getting it earlier. We have quite a few Grimm's wooden toys which we love but they are mostly infant and toddler toys. I'm now looking at potential Christmas presents for Otis who is four and there are quite a few Grimm's puzzles on my wish list. While Grimm's isn't a Montessori brand they have a great aesthetic that make so many of their products wonderful for the Montessori home. 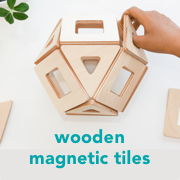 The use of natural materials, simplicity and the use of problem solving and logic in their toys (pythagorus puzzle, pentomino game) are just some of the reasons we love them. From rattles to stacking and sorting toys to puzzles here are a few of our favourite Grimm's toys. P.S We love and use in our home Grimm's wooden candle rings and decorations - such a lovely way to introduce themes and traditions into your home, celebrate seasonal events or for the nature table. Baby: 1. Natural Hexagon Wooden Rattle, 2. Wooden Hedgehog Grasping Toy, 3. Relaxing Bird, 4. Bead Grasper, 5. Rolling Bell Mini, 6. Star Wooden Rattle, 7. Fish Wooden Rattle, 8. Wooden Rattle Cube, 9. Wooden Horse on Wheels, 10. Wooden Blocks Traditional Coloured. Toddler: 11. Stacking Rainbow, 12. Sailing Boat, Blue, 13. Stacking Bowls, Coloured, 14. Octagon Small Eight Triangles, 15. Hand-carved Elephant Pull Along Natural, 16. Sorting Boxes Small, 17. Square Puzzle, 18. Small Stacking Tower, 19. Stacking Boxes, Colored, Large. Preschooler: 20. Wooden Hexahedron, 21. Goethes Colour Circle, 22. Wooden Fraction Circle, 23. Wooden Shape Puzzle Sailing Boat, 24. Butterfly Puzzle Large, 25. Right Angle Cube, 26. Gummi Twist, 27. Counting Stack, 28. Wooden Tangram Puzzle. In Australia we use (and all of these pictured are available from) Honeybee Toys, however keep an eye on Entropy who have a lower amount required for free shipping. I've been looking into ways to teach Otis ordinal numbers. When using the calendar it's clear he needs help in this area. Although we have tried lots of incidental use I felt that he really needed a formal lesson where I can lay it all in front of him. We started using these duck cards. They go all the way up to twelfth but today we started with first to third, then up to tenth. This was really just an introductory lesson. To start to become familiar with the use of these terms. I really wanted him to grasp the concept. After our lesson I put the duck ordinal number cards on a ring. This will help to keep them in order and will be easy for him to flip through himself. In our second lesson we used these ordinal number cards. These cards are a free download from Teachers Pay Teachers. Again we started with first to third, then up to tenth. We initially used seedpods (one of Otis' most used counting materials) however we found the different animals much easier. Once we labelled them a couple of times it was easier to 'play' with the different animals. 'Who is third? ', 'what position is bat?' for example. These were our first two introductory lessons on ordinal numbers. I hope that now we can use ordinal numbers more in play, using our calendar, perhaps cooking and in other incidental ways. I also love these ideas at Pinay Homeschool and Montessori on Mars. If you have any further suggestions on introducing ordinal numbers at home I'd love to hear. I don't take up offers for give-aways or promotions very often and not unless it's product we use or need. In this case - this is a product we very much needed. Otis has started full days at school which means he needs to take snack, lunch, a water bottle and sunscreen plus as usual a hat and suitable clothing (coat/jumper). He has so many different lunch boxes he loves to mix it up and take a different combination almost every day. I have been using permanent marker to write names on some items however sunscreen bottles and Otis' latest water bottle seem resistant, within a couple of days the permanent marker wipes off. Permanent marker is not suitable for our stainless steel lunch boxes so some of these have been taken to school unnamed. So we have lots of unlabelled containers and stacks of coats, jumpers, hats all without names. Otis is great at looking after his things but now he is taking so much more to school. Clearly labelling his things actually makes it easier for him to look after them! One look at the class missing property basket and it's obvious parents need to label more. We were given a range of Skool labels to try out. Above left we have name labels for Caspar and Otis. Both designed their own labels using the fun range at Skool labels. These labels are not at all like the labels I used when Caspar was an infant. These are thin film like labels that stick incredibly well and the colours are really vibrant and fun, they are also dishwasher safe. We have found lots of uses for these. Lunch containers and water bottles were the most obvious uses. Not just containers for school but also for camping, sports, swimming lessons - all those scenarios where lots of kids congregate and lunch boxes and water bottles can easily get mixed up. They are useful of all kinds of items that the children share but need returned like books. These thin transparent labels come in white and black. These are perfect for labelling pencils or markers, or pencil sharpeners, erasers or glue sticks. Last year Caspar had to take his own labelled pencils to school and it was a nightmare putting his name on them all. These little labels make the job super simple. These labels are also unobtrusive and can go on almost anything! And they are waterproof! We don't use a lot of iron on labels so I just put our surname on these. However there are some items of clothing which must be named. Coats, cardigans and expensive woollens I now label - the children take items like this off at school and they are much easier to get lost and are often expensive to replace. I have used these on lots of fabric surfaces including clothing, hats and even our fabric/reusable food pouches. We have our labels and I am feeling really organised for school next week! I also want to add the Skool website is really easy to use and depending on your location labels ordered arrive within a week. All shipping is free however Skool only ships within Australia. If you feel you have some labelling to do Skool labels currently have a back to school promotion. They are offering 20% off site wide until Sunday 4th October using the promotional code BTS20 at checkout! Full terms and conditions are available on their website. I also have one e-coupon to the value of $50.00 AUD to give away to a reader! To enter please leave a comment in the comment section of this post about how you get organised for back to school! This give away is for Australian residents only and comments close Thursday 1 October 2015 at 8pm Australian Eastern Standard Time. Please only one entry per person. I hope you enjoy these labels and feel as organised as I do! Taste Testing! Using our Sense of Taste! Today we tried some taste testing and it was so much fun I thought I would share it with you here. This is almost a five minute Montessori activity, it's really easy to set up with just a few pieces of fruit and a blindfold. With this blindfold taste test we only used foods the boys like. Otis had no idea what he was about to eat. He uses his sense of taste to determine which food he had been given. Here we used raspberry, strawberry, watermelon and banana. The boys then swapped around except Caspar already knew which foods there were but he didn't know which one Otis was feeding him. Wow, I think this is also an exercise in trust! Later in the day I gave the boy this tray of apples. They weren't blindfolded, the idea was just to try and compare different varieties of apple. This is also a language activity, the boys didn't know all the types of apples here, and they are also using taste and sight to notice the difference in varieties. We also tried a tray of cheese! My children love cheese so they really enjoyed this. 'This one is creamy… perhaps too creamy'. Caspar went straight to the blue cheese. I also think eating the cheese by itself, not in or with something really helped to taste the cheese. A fun experience for the boys. This week I have rotated in a few of our favourite puzzles. The butterfly lifecycle puzzle is perfect to celebrate spring. Our garden is now full of bees and butterflies. This butterfly puzzle takes on a new meaning now that Otis is in the early stages of reading and he begins to identify the parts of the butterfly. We've also rotated in our lovely apple puzzle. I love Otis' initiative as he does the puzzle directly on the table. We've been using the new So Awesome Emotions Cards and below have used the extension activity of drawing the emotion. Really lovely work. The Emotions deck is the largest in the series being 36 cards and it is based on Robert Plutchik's Wheel of Emotions. I haven't used this wheel of emotions before and it's such an interesting concept - especially to use with children. This has been a great way for us to explore topics we haven't covered before. I have learnt over time that Otis is not into standard lifecycle work or cards. He loves to use different lifecycle materials through play. This is a fun way to introduce play dough this month and different types of flowers. He has gone back to this over and over. A noticeable difference with the introduction of spring is all the swooping birds. Which brings us to the discussion of why birds behave in this manner and the study of nests and eggs. This activity below is both a failure and a success. A failure because I was intent on making this a matching bird to egg activity with native Australian birds and I really had difficulty finding suitable photographs. So we ended up with only four types of eggs/nests. It was a success because Otis really loved it and he learnt a lot about the behaviour of these four birds. The nest of an Emu is very distinct and different from the nest make by the black swan and therefore this turned into a really valuable experience. Please feel free to join us in the Montessori at Home Link Up below. What does it mean to Educate the Whole Child? When a school or educational system claims to 'educate the whole child', what exactly does this mean? It sounds like a good thing right? It's quite a well used term that is being used increasingly but many would say it's something Montessori schools have been doing for over a century. Sadly it doesn't seem to be a mainstream approach. "It is an approach that values the human spirit and the development of the whole child—physical, social, emotional, cognitive. Dr Montessori studied not only the physical development of children, but also their intellectual and social development. She conceived and evolved the method of educating the “whole child”." As a parent I really want to know and understand what this means in a practical sense. Here is my little break down of what teaching the whole child means. I think there is something all parents can learn from this approach. Whole body learning through movement. Maria Montessori knew that knowledge, learning and movement were interconnected. "Mind and movements are part of the same entity'". From the child in the floor bed to the classroom there is no expectation for children to be confined or restrained. Movement - thoughtful, purposeful movement is encouraged. We think how our children can learn from building the pink tower to walking the line. At home I feel like we need to respect the child's need for movement and allow them to learn through this movement. For us at home with a four year old this often means taking learning outside where gross motor movements are more easily accepted but also provide assistance for the child to refine his movements inside. Learning through all senses. Learning through all senses really engages the whole body. We know by isolating the senses we refine the senses and prepare the child for future work. I know Montessori developed specific sensorial material however there is a practical application to this in the home. Stimulate and refine their senses! At home there is a lot of scope for us to use our sense more in learning - think more sound, touch, taste, smell!! Whole of brain learning. Learning that engages the whole brain, the left side (intellectual) and the right side (creativity/arts). In all classes the selection of materials ensures that both the left brain and right brain are engaged. As children can select the materials they wish to work on children can freely move from left to right activities in addition to materials that would work both sides of the brain. At home I think we have this covered - we have lots of scope through our toys and materials for working both sides of the brain. Having free access to art materials really assists with this. Promotes wellbeing of the whole child. Physical movement/education, nutrition, character development, spiritual development, mindfulness, physical and emotional safety. The Montessori curriculum encompasses all aspects of the child's wellbeing including social and emotional intelligence. Nurtures the whole child. At home we have a focus on living an active and healthy lifestyle through movement and nutrition, we focus on yoga, meditation and relaxation but emotional intelligence may be one I need to look into further. Looks at the child as an interconnected whole/being. The child is connected to their family, school, community, culture, environment. Learning about their culture, the culture of others, history, geography - they can really get a sense of belonging but also a respect for others. Children are or can become actively engaged with the world around them, their community, their environment and the nature that surrounds them. This can lead to respecting their environment and respecting others. At home we try to give the children a sense of their own culture through family traditions, respect and knowledge of our locality and create strong connections through family. An understanding that learning doesn't start and finish at school. Looking at the child's whole experiences. Children are learning all the time and our educational methods need to respect this. What children do at home is influenced by activities as school and vice versa. It's nice to have some cohesion between home and school. Great communication with educators and parents is essential. Otis' teacher recently asked if he had any interests they could pursue at school. Caspar's teacher recently sent us a link to a program that he could (if he wanted) try at home before they introduce it at school. Learning experiences throughout the child's whole life have equal value. A visit to the museum over the weekend may lead to a full explosion into the world of dinosaurs at school and a Montessori educational system can respect this. Take home message is to maintain strong communication with educators and be free to explore concepts brought home from school. In summary children are whole beings, not numbers. Montessori takes a holistic approach to education. Educating the whole child means thinking about each student as a human being in full, and not limiting the scope of education only to a narrow focus on core subject areas. Looking at whole of child education has been thought provoking for me. Please feel free to leave a comment if you feel you can add to my understanding of what whole of child education looks like. I'd love to turn this into a conversation! Montessori at Home…Yes, You Can! One of my friends recently commented that she would like to do more Montessori in the home but doesn't know how. She has a good understanding of Montessori but it isn't coming together for her. She prepares activities her child isn't interested in and now he's in preschool she wonders if it's worth the effort. My advice? At least for the time being quit preparing activities. If he is in preschool he may not be as interested in formal work as he was in the past. But observe, keep your eyes open. Think intentionally about toys in the home and screen time. But live, just live with your child. Walk, play, read, do things together. Invite your child to work with you. So this is what Montessori in our house looked like today. It was really simple and that is why I'm posting it! I didn't even invite Otis over, I started making some juice and he asked if he could make it. The boys wanted egg for snack. Ok, let's put the eggs in a pan and boil them, now we need to peel them. To peel three eggs took Otis about twenty minutes. A good chuck of concentration but also peaceful, quiet time. Who is going to make lunch? Caspar suggested spinach and cheese melted wraps. Otis offered to make them. Otis didn't want to stop grating so he kept on grating for our carrot and zucchini slice, then made the rest of the slice with me. The ladle was his suggestion. So little bits of time in the kitchen, just living and working along side me = lots of strength, skills, quiet concentration and lots of Montessori. My advice is also to take it easy. Transitioning from toddlerhood to preschooler can be difficult especially if it involves leaving the home environment for school for the first time. Once a child starts school, Montessori at home may look different, take time to find what works. These photographs were taken over three sessions in the kitchen. Otis also did lots of language work today and lots of play outside and with his pets. P.S. If you are looking for a fabulous Montessori apron that even a young child can put on and take off independently, we have great selection here, all made by a beautiful Montessori mum in the US. Otis is four and is now wearing the child sized apron however toddler sizes are also available. Available in the US here. I love having Montessori quotes on my office wall. I often make up little quote cards like this to put in parcels for the shop. I thought I would share this one! You can download it below in two versions. I print these on 4x6 inch photo card in high quality. If you have any problems downloading these files try right click to Download Linked File and then print. I hope you enjoy! Examples of Phonetic Three Part Cards: 1. Phonetic Word 3-Part Cards Montessori Beginning Reader - Nomenclature Cards - Quality Montessori (download), 2. CVC Phonetic Reading Cards - Trillium Montessori (via TPT download), 3. Phonetic Picture Cards Level 1 - Montessori Print Shop (download) and 4. Level 1: Simplest Phonetic Words - Maitri Learning. Following yesterday's post it is worth discussing our phonetic three part cards. I'd love to hear your view. I haven't had them recommended to me and as far as I'm aware the boys have never used them at school. I have been sceptical as I've always preferred real materials (rather than images) and feel like children get a lot of exposure to words through readers, books and other activities. As I mentioned I only presented them to Otis as we already had them at home. However Otis is now on his third pack, he is loving them and choosing this work from his shelves independently. He is choosing this work when television, legos, pretend play are also options, he doesn't have 'work' time at home, within reason he is free to play (or watch) what he likes. So when he takes to something like this I pay attention. It simply means he has on his shelves the right materials for him right now. They might not be the right materials next week but that is why we observe the child. The third pack (as below) is a little more difficult so I am confident he will be using these for a while longer. Otis is using Level 1: Simplest Phonetic Words from Maitri Learning. He places the picture cards across the work mat (though many people place the cards running down, vertically in a column). I ensure he knows the name of each card as in this is a 'rat' (not a mouse), 'hat', 'cap', 'rug', mat'. You can see if you don't make the names clear the child might get confused. Otis selects a label card and places it under the corresponding picture card. The idea is the child uses the control card at the end to check their work. However if Otis gets stuck during this work, which he does occasionally, he will get out the control card to help him. He only does this once or twice which indicates his success rate is high. Each time he uses the control card he is learning, teaching himself the correct spelling/sounds of/in the word. These really are the most simple phonetic c-v-c words. While I wouldn't suggest phonetic three part cards are an essential work I do think they make an excellent sound/reading game. Sometimes we might think alphabet books and cards like these are just for toddlers. While toddlers might love them my pre/early reader is enjoying going through them meticulously and pointing out every single item. Today I made these little pouches for Otis' early readers. I think it's a really cute way to present, store and carry them around. Oh my goodness, I can't wait to share this! When Caspar was little I purchased these phonetic three part cards. Caspar never took to them or I just didn't present them at the right time. As Otis is enjoying so much letter work right now I thought I would try them. He took to them so fast. He wanted me to go away so he could do them by himself! Initially I only had cards for six items in the pouch. After doing the work three times Otis asked for more cards! I had more cards nearby so I included another six. This work got a lot harder as there were a few words which are similar. He still insisted on doing the work by himself but this time he needed the control cards which he used twice. I think this work is spot on for him right now! I was observing him as he did this work, occasionally I could see him spell out the word and take a moment to think, it was really special to see him put it all together. I only presented this work because I already had the cards but it makes me reevaluate my view of three part cards and especially phonetic three part cards. With our school holidays starting next week this might be a really good at home activity. I'd love for you to share a Montessori inspired environment or activity in the link up below (remember you can also link to Instagram)! With our wet weather approaching and in an effort to keep our home and floors cleaner - I am wanting to create a Montessori style entryway for our home. I want to create a place where our children can independently hang up coats, umbrellas and possibly school bags and hats. A place for the children to sit and take off or change their shoes. A place that is easy for the children to look after and to help maintain their sense of order! Our entryway needs to be streamlined, I don't want to clutter up our home. I'm thinking a wooden bench with baskets underneath with a few hooks at the children's height. Or perhaps a couple of stools and some baskets. I'm still thinking what our entryway would look like but here is my Montessori entryway inspiration! 1. Eltern vom Mars, 2. Flickr (Nikko Moy), 3. Montessori on the Double, 4. How we Montessori (in our previous house), 5. Itty Bitty Love, 6. The Free Child, 7. Slow Mama and 8. Healthy Beginnings Montessori. Why Montessori? A Parent's Perspective. Children learn when they are ready, learning is self paced. One child can be learning to count to while another can be learning division. We know children just don't learn the same things at the same time. The child is met where they are at. Isn't that fantastic! Begins with hands on, concrete learning and moves to abstract concepts and thinking. The maths area comes to mind, the hands learning and teaching mathematical concepts in a concrete way is why I love Montessori math materials. It builds a strong and solid foundation before abstract thinking is required. Fosters a natural love of learning, children are encouraged to follow their interests and passions (the interest and passions of others is respected also). 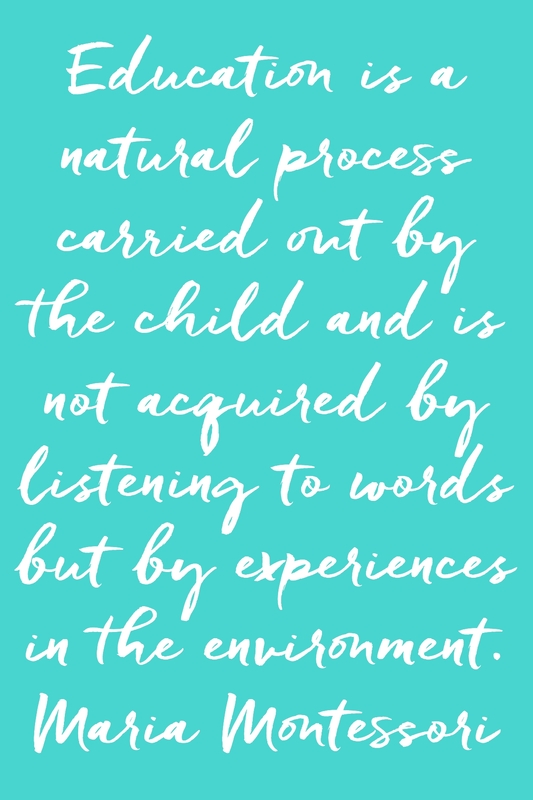 Learning isn't forced, within the realm of the classroom (including the outdoor classroom) the child is choosing the work that they want to do. Is based on intrinsic motivation - not external rewards. Intrinsic motivation is something we want our children to have for life, we want them to be self driven, to have a strong ego, to achieve self satisfaction and not to be seeking the attention and approval of others. Fosters community, children are encouraged to help and assist each other and diversity is respected. Children work individually and in collaboration with each other. They are taught - as is the culture within a Montessori community to help another child (or adult!) when they identify a need. The children are given the opportunity to demonstrate to and help other children with their work. Respects the child. Children are treated as intellectual beings, they are not bribed, punished, they are not spoken down to. They are treated with respect and are valued. Each individual is valued for who they are, their interests, their strengths, their culture is celebrated. Teach by teaching - not correcting, much of the work in the younger years has a control of error meaning the child can determine for themselves if the work has been done correctly, there is no testing or marking. There is no competition within the classroom. Educates the whole child. Isn't amazing to think there is a whole area in the 3-6 year class that is for sensorial materials. That schools have practical life shelves. That care of self, care of others and care of environment is just as important as academics, movement is respected. The children are taught to be global citizens. This means respecting the Earth and respecting each other. This means promoting peace. They grow to understand why diversity is important and the role we all play in protecting our planet. Montessori teachers. Due to the nature of the Montessori curriculum it means the teachers are required to observe the child and present lessons to them when the child is ready. For me this means our teachers know our children really well, how they learn best through to how they are feeling. Each lesson and interaction is tailored to the child. I also think it takes a pretty special person to become a Montessori teacher. The Montessori classroom. Furniture and materials tailored to the chid's needs. A focus on beautiful and natural environment from beautiful artwork, flowers on tables to lovely timber furniture. This is what I want for my children. The Montessori school. Montessori schools foster community. It isn't always evident on the surface but I have found that when needed the Montessori school community pulls together, they celebrate together, they learn from each other, they are there for each other. It's not just the parents, not just the teachers or the children, it's all in the community working together. I wrote this post earlier and have just decided to publish it. 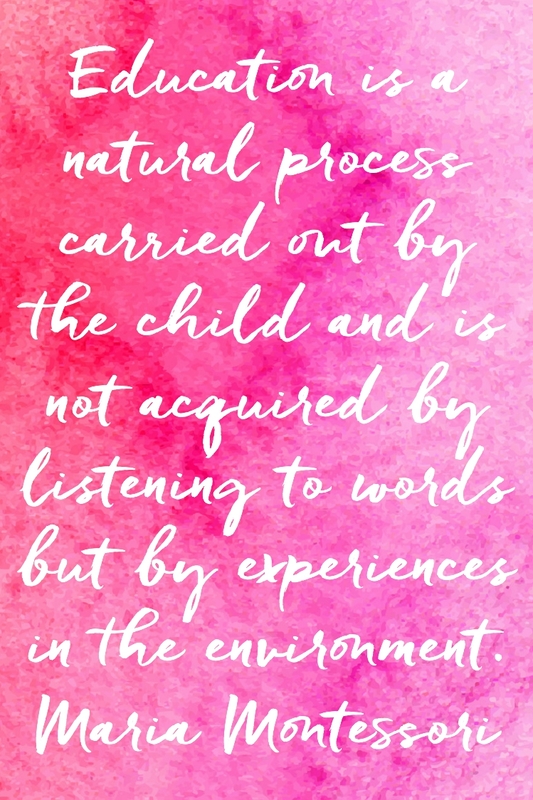 It may confirm what you already know about Montessori schooling, but this is why we chose and continue to stick with Montessori. I had this idea of creating an environment where my children can run through the solar system. Running around the sun and weaving in and out of the planets, pretending they were spaceships and zooming around. I thought I could create planets out of paper mache but some of the planets would be too heavy to suspend from our ceiling. Balloons would work ok but not perfect unless I could get different sized balloons. Anyway, this is how we came to find these inflatable planets (c/o Child.com.au). The boys share a bedroom which is where we have hung the planets. Because Caspar is quite tall I've hung the planets a bit higher than I would have liked. However Otis can still zoom around and pretend he is in outer space. Hopefully learning through play! The boys pumped up all the planets however I hung them while they were at school. I love their responses once they came home. We also have these magnetic planets which are great if you have a large magnetic surface. The Giant Inflatable Solar System comes with a foot pump (which is easy to use), one sun (which takes the longest to pump up), nine planets and Earth's moon. The sun is 58 cm in diameter which is huge! Earth is 19 cm in diameter which gives you some idea of the scale. Our inflatable solar system can be found here and thank you to Child.com.au! My children are four and seven years old. Otis who is four does a lot more food preparation and cooking than Caspar my seven year old. Otis is still in the sensitive period for practical life and still really likes spending a lot of time with me during the day and so often I am in the kitchen. Otis is doing much more preparation for dinner, our evening meal and the boys are also cooking breakfast together. So while many of our current favourite kitchen tools are the same as in the past, we have a few new ones here. Some of these we have used from toddlerhood while other require more care and are suitable for slightly older children. Some gadgets make food preparation fun and others make the job a lot easier. 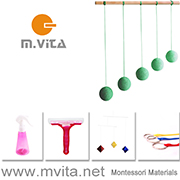 Many of these are suitable for Montessori practical life activities for the home and school environment. Tools such as the rotary grater and the egg beater have the child making coordinated movements in an incidental way. The spiral vegetable slicer and nut cracker require a strong rotation of the wrist. All of these tools also prepare the child for future cooking skills and in most cases promote healthy eating. Our electric skillet is being used almost daily for breakfast and snack. I've found this a really good way to introduce my children to cooking with heat. I would love to hear what your most used kitchen gadgets are. 1. Cherry Chomper, 2. Apple Slinky Maker, 3. Apple Slicer/Corer, 4. Rotary Cheese Grater, 5. Veggetti/Spiral Vegetable Slicer, 6. Butter Making Jar, 7. Strawberry Slicer, 8. Egg Slicer, 9. Nutcracker (in Australia here), 10. Egg Beaters, 11. Mortar and Pestle, 12. Electric Skillet/Fry Pan. In Montessori we do not use flash cards in a flash card kind of way. Although I have seen a parent use cards as flash cards in a Montessori environment, flash cards are not Montessori at all. Quickly showing a child a card and expecting them to memorise it, then recall it - isn't really learning. However my children are both currently using flash cards and I thought it would be interesting to show how. Otis (4yrs) is currently using the Flash of Brilliance Dinosaur Flashcards and Caspar (7yrs) and Otis have been using the Flash of Brilliance Space Flashcards (they have been doing lots of space/solar system work together). The cards are really nice and thick, they have great images on one side and facts in dot point form on the reverse side. The topics of dinosaurs and space are also really interesting as both use imagination, some level of abstraction, we cannot show children a real dinosaur or real planets (although we have seen real space suits, real images of planets etc). Because the images are so nice and clear (minimal background) and they are the perfect size, these flash cards are good to use as matching cards. In the top image Otis is matching dinosaurs and above is our planet matching tray. The facts on the back of the cards can be really useful if the child wants more information on the topic, "is this dinosaur a herbivore?". With both of these activities we have only used a selection of cards, those that are most relevant or that we have materials for matching. Typically for toddlers the writing or a label on a card can be seen as a distraction and not desirable. However for the prereader/early reader stage that Otis is now in the writing - dinosaur or planet name is really useful. Above Caspar is using his solar system book to put the planets in order from the sun. This is really useful - both boys are doing lots of solar system work and this type of activity reinforces his previous knowledge. It's good that Caspar can use his knowledge to teach and explain this to Otis. This is why multiage classrooms work so well. The cards I have pulled out here are pretty basic but there are more complex ones. Flash cards can work very well as vocabulary cards. Again with Otis being in the prereader/early reader stage these work wonderfully on a couple of levels. We read (and both say) the name, discuss the topic and lay them on the mat. Maybe stopping to discuss further or going back to other cards or going off on all sorts of tangents. Although we don't have any up at the moment - I think good quality flash cards like these would work well as a display. For a child interested in dinosaurs for example - dinosaur flashcards can be hung on a line (with little pegs) or displayed other ways would be really nice. While we wouldn't see this in a Montessori classroom, I think it would make a sweet personal touch to a home learning environment. What do you think, do you use flash cards in your Montessori environment?